You're on your way to study overseas, waiting anxiously as your plane is finally about to touch down. When you climb off the plane, you'll be welcomed by friendly natives with a flower garland around your neck, but you're not in Hawaii, or in any Caribbean location-you're studying abroad in the vastly fascinating and educational destination of India. Lucky you! Students can enjoy one of the most culturally-rich countries in the world if they choose to study abroad in India. Mark Twain said that, "India is the cradle of the human race, the birthplace of human speech, the mother of history, the grandmother of legend and the great-grandmother of tradition." He wasn't exaggerating, either, and as you study abroad in India, you'll find that out for yourself. The number system was invented in India, and Aryabhatta came up with the ever-important concept of "zero"
38 percent of the doctors in the U.S.
36 percent of the NASA employees in the U.S.
34 percent of Microsoft employees in the U.S.
A study abroad program in India will also expose you to a fascinating culture, ancient architecture and the amazing history of a country that has been growing and evolving on its own, because it hasn't invaded another country in the past 10,000 years. Plus, watch the very idea of color come alive as more vibrant tones than you ever imagined jump out at you from every shirt, building and flower. 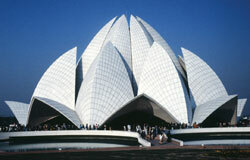 As you get to know the country, your study abroad program in India will allow you to learn while having fun. You'll easily make new friends with the tolerant and hospitable Indian people. In the "land of the gods," you'd be wise to learn the traditional formal greeting that is known as "Namaste." Namaste involves placing both hands together raised below your face, and is a respectful greeting for elders and strangers. Bangalore is another city full of history, as well as a modern nightlife. This cosmopolitan "garden city" boasts the La Bagh gardens, which stretch over 240 acres. Admire the Dravidian style of the ancient granite structure known as the Vidhana Soudha before letting loose at the Nritya Gram dance center. You never knew that the Taj Mahal is one of the world's biggest love letters, huh? Well, there is a lot more you don't know and can learn when you study abroad in India. So, sit back, relax and enjoy the rest of your flight. You're in for the most vibrant time of your life! Spend three weeks this January in Hyderabad, India. Study abroad with AIFS! USAC students are integrated into the university atmosphere and have many opportunities to experience the culture, learn about the country, and make friends. Volunteer opportunities are available, along with college sports, clubs, and activities. The Home-stay Hindi Immersion Program is a unique arrangement of classroom learning and staying with a local family. The Hindi lessons are specially designed for foreigners and delivered in English and Hindi. On a Documentary Outreach, student crews travel to a developing community, learn nonfiction video production and support a local changemaker through storytelling. Creative Writing Workshop: "Writing Out of Place"
Immerse yourself in India’s culture, learning about the key aspects of global health research. Learn from professionals in local clinics and give back to the community through health education outreach projects. Explore Buddhism in India through interdisciplinary coursework and meditation while living in a monastery near the site of Buddha Shakyamuni’s enlightenment.—plus a unique opportunity to conduct rigorous independent field research.